This adenovirus is part of abm’s Adenoviral Expression System and can be used directly to transiently over-express your gene of interest in a wide range of host cells. This adenovirus can be used to amplify more adenovirus by transducing HEK293 cells. For enhanced transduction efficiency, the use of ViralPlus (G698) at 1:100 is recommended at the time of transduction. Wild Type. Mutants can be constructed via custom services. Please refer to our custom service page or contact our technical support for more info. Adenoviruses are stable at room temperature for short term storage and are shipped with gel ice packs. Do not store at -20°C or 4°C for long term. For long term storage, it is recommended to store the viruses at -80°C and avoid repeated freeze-thaw cycles. Before storing at -80°C, it is advisable to make small aliquots to avoid repeated freeze-thaw cycles. Screw cap vials are recommended to decrease chances of the storage buffer desiccating which leads to decrease in infectivity. Diluting the virus is not recommended. 1. Disclaimer for transcript variants: The provided accession number refers to the transcript (mRNA) sequence for this product. The molecular sequence of this clone aligns with the gene accession number as a point of reference only. However, individual transcript sequences of the same gene can differ through naturally occurring variations (e.g. polymorphisms), each with its own valid existence. This clone is substantially in agreement with the reference, but a complete review of all prevailing variants is recommended prior to use. All sales are final. 2. The provided accession number refers to the transcript (mRNA) sequence for this product. Please verify that this is the desired transcript sequence by cross-referencing. This is important because a single gene can have multiple different transcripts owing to naturally occurring variations. All sales are final. 3. Disclaimer for intended use: All of abm's vectors and viral particles are for research use ONLY and NOT for therapeutic/diagnostic applications. abm is not liable for any repercussions arising from the use of its vector(s) in therapeutic/diagnostic application(s). 4. Disclaimer for extra nucleotides: Cloning may lead to the insertion of extra nucleotides at the 5' or 3' end of the gene of interest which, in most cases, is innocuous to the stability/functionality and the expression of that gene. abm guarantees that the correct ORF construct is provided and the mRNA expression is displayed upon successful transduction. If this is not the case, we will provide a one-time replacement. Customers must provide adequate data to show >80% transfection efficiency with a positive control, plus additional qPCR data or a western blot to evaluate the level of gene expression. The replacement will not be covered by the same guarantee. Please note that due to the large number of variables applicable, any further expression analysis (e.g. protein expression) is not covered by the guarantee, as such analysis is dependent on the end user's experimental conditions. Das, A et al. "Engulfment of apoptotic cells by macrophages: a role of microRNA-21 in the resolution of wound inflammation.." J Immunol 192(3):1120-9 (2014). DOI: 10.4049/jimmunol.1300613. PubMed: 24391209 . Application: Transduction. Hai, B et al. "Transient activation of hedgehog pathway rescued irradiation-induced hyposalivation by preserving salivary stem/progenitor cells and parasympathetic innervation.." Clin Cancer Res 20(1):140-50 (2014). DOI: 10.1158/1078-0432.CCR-13-1434. PubMed: 24150232 . Application: Transduction. Reineke, EL et al. "Steroid Receptor Coactivator-2 is a Dual Regulator of Cardiac Transcription Factor Function." J. Biol. Chem 289 (25):17721-17731 (2014). DOI: 10.1074/jbc.M113.539908. PubMed: 24811170. Application: Adenovirus Expression. Gomes, AP et al. "Declining NAD(+) induces a pseudohypoxic state disrupting nuclear-mitochondrial communication during aging." Cell 155(7):1624-38 (2013). DOI: 10.1016/j.cell.2013.11.037. PubMed: 24360282 . Application: Transduction. Hoffman, BE et al. "Development and characterization of a human articular cartilage-derived chondrocyte cell line that retains chondrocyte phenotype.." J Cell Physiol. 222(3):695-702 (2010). DOI: 10.1002/jcp.21994. PubMed: 20020445 . Application: Adenovirus Transduction Protocol; Transduction. 5. ABM is THE source for your lentiviral expression needs! ml of the viral supernatant and mix thoroughly by inversion. 3. Centrifuge at >= 5000g at 4C for 10 minutes. of the same gene can differ through naturally occurring variations (e.g. Lentivirus Purification Kit (Cat. No. overnight (for day 4 collection). 7000g at 4°C for 30 mins. to collect the viral particles. if necessary to remove any residual liquid. viral preparation every 30 minutes. re-suspend the supernatant every 30 minutes. 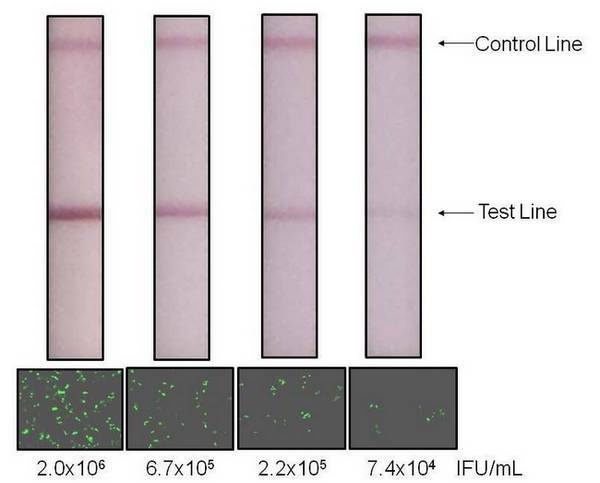 titration of any lentiviral preparation could be easier than ever before. 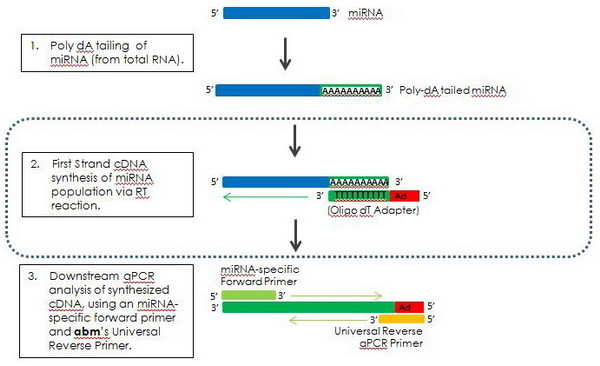 gene and co-transfected along with a miRNA expressing vector into cells. -20°C for up to a year. characterized in the Sanger 16.0 database release (September 2010). Recombinant lentiviral expression vectors are the most widely used delivery vehicle for miRNA delivery due to their high efficiency transduction and stable integration. As a world leader in both lentiviruses and miRNA, ABM provides the most comprehensive selection of miRNA lentivirus expression vectors (lentimira). Each vector has been tested for functionality and contains a GFP reporter under a constitutive CMV promoter in both plasmid vector and ready-to-use viral particle formats. The design of native pri-miRNA (~400-500bp) for each miRNA offers higher levels of target gene suppression than those based on a single common miRNA backbone as seen with competitors. Please open the following (link or PDF file) for comparison. than those based on a single common miRNA backbone as seen with competitors. Please open the following (link or PDF file) for comparison.